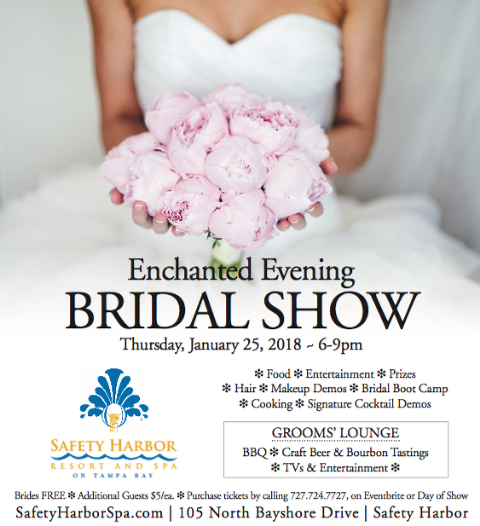 Head to Safety Harbor Resort & Spa on Thursday, January 25, 2018 from 6-9 p.m. for an Enchanted Evening Bridal Show. This Tampa Bay bridal show is designed for you and your bridal party enjoy fabulous entertainment, delicious hors d’oeuvres, champagne cocktails, hair and makeup demos, chef and signature cocktail demos, a bridal boot camp and more! Plus, there is a Groom’s Lounge with BBQ, craft beer and bourbon tastings perfect for your fiancé! 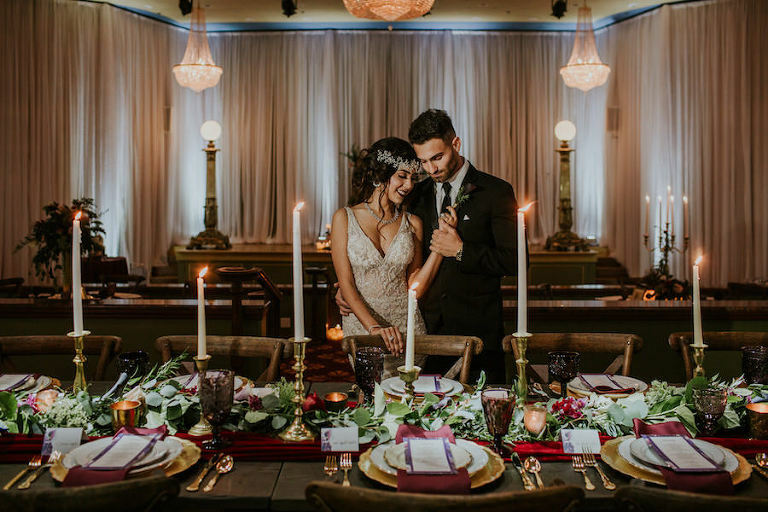 Spend time with Tampa Bay’s top wedding vendors from amazing bakeries to dazzling florists, music, photography and more. And, there will be lots of opportunities to win fabulous prizes!